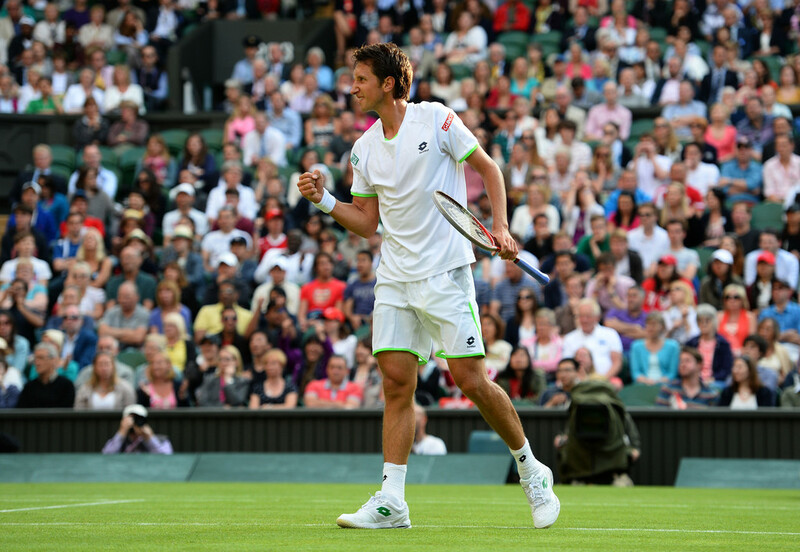 Sergiy Stakhovsky dealt Roger Federer his earliest Grand Slam exit in 10 years with a superb serve and volley display on Wednesday evening at The Championships. The Ukrainian lost serve just once as he knocked Federer out 6-7(5), 7-6(5), 7-5, 7-6(5) in the second round at Wimbledon. 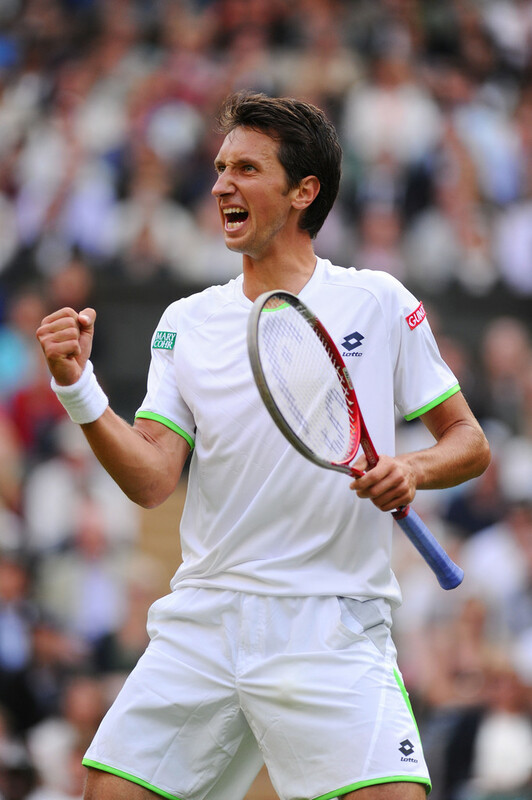 "I'm in disbelief that it happened," said a stunned Stakhovsky in a post-match interview. 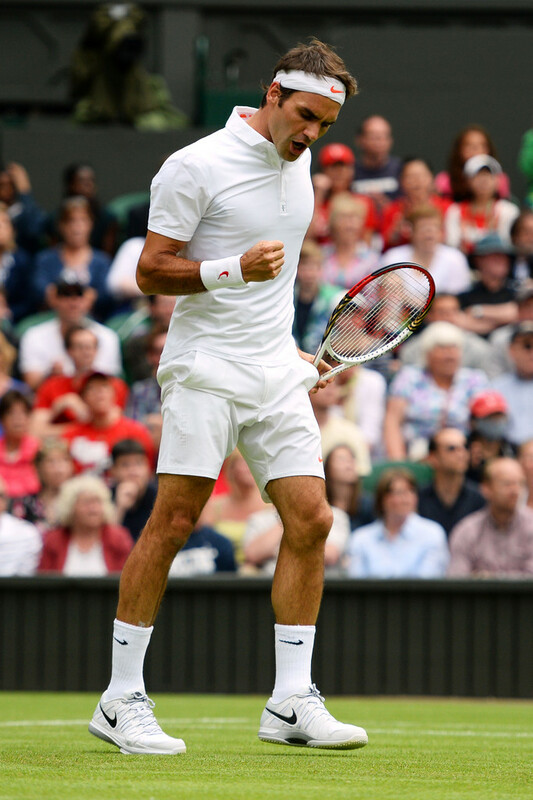 "I was playing my best tennis I ever played and it almost wasn't enough to beat Roger. I'm incredibly happy. 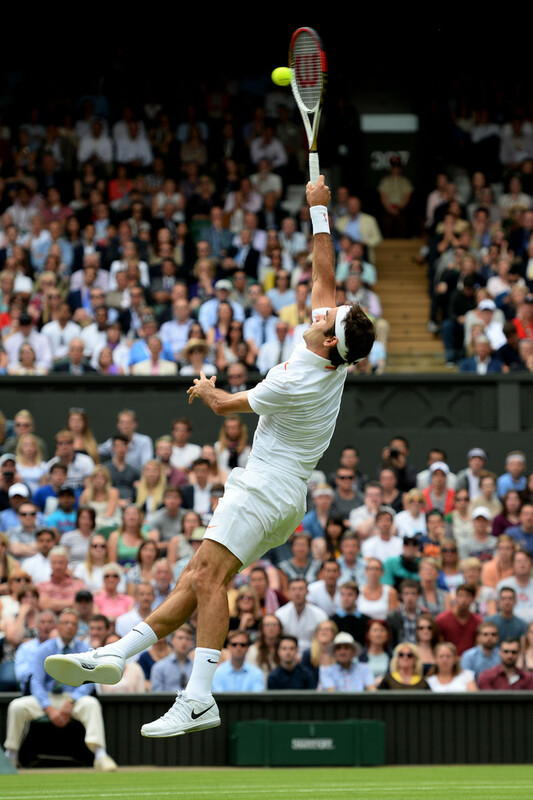 "When you play Federer at Wimbledon, it's like you're playing two people: Federer and his ego on Centre Court at Wimbledon, where he's historical. I was hoping I would have a chance to be in the match at the beginning. I was just hanging in there on my serve, trying to get to tie-break. I was a little tight up a break in the fourth set, it was hard to pull it out. I'm really happy I'm able to go through. "It was magic. I couldn't play any better today. I played everything I needed and wanted to do. I volleyed incredibly well today. It was a fantastic day for me." 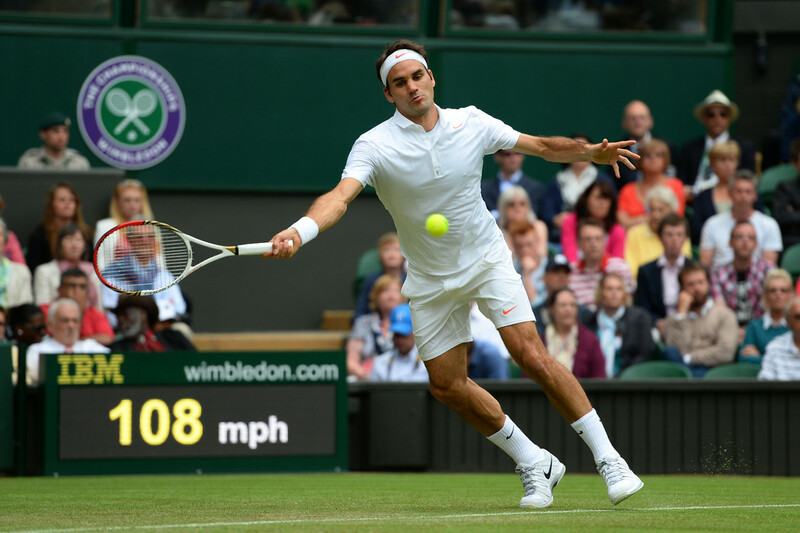 Federer’s exit follows Rafael Nadal’s shock defeat on Monday at the hands of Steve Darcis, while sixth seed Jo-Wilfried Tsonga was also a bottom half casualty on Wednesday. 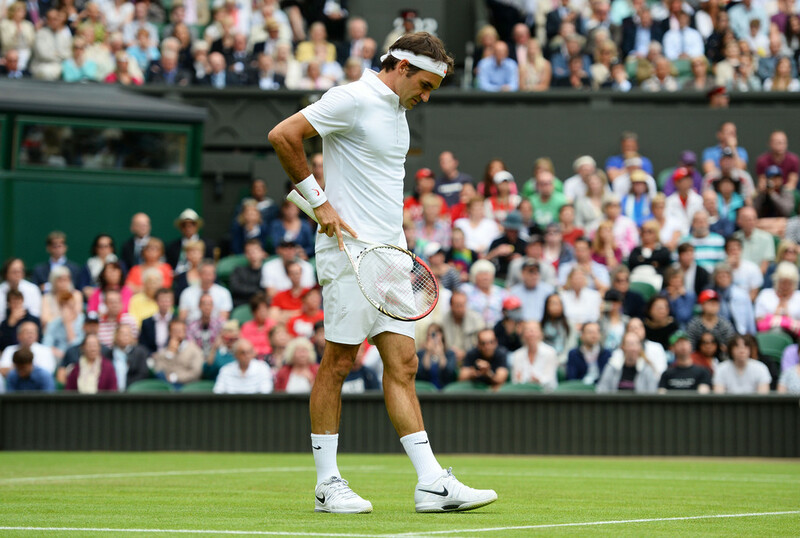 Despite winning the first set, Federer failed to create a break point on Stakhovsky’s serve until the 11th game of the second set at 15/40. 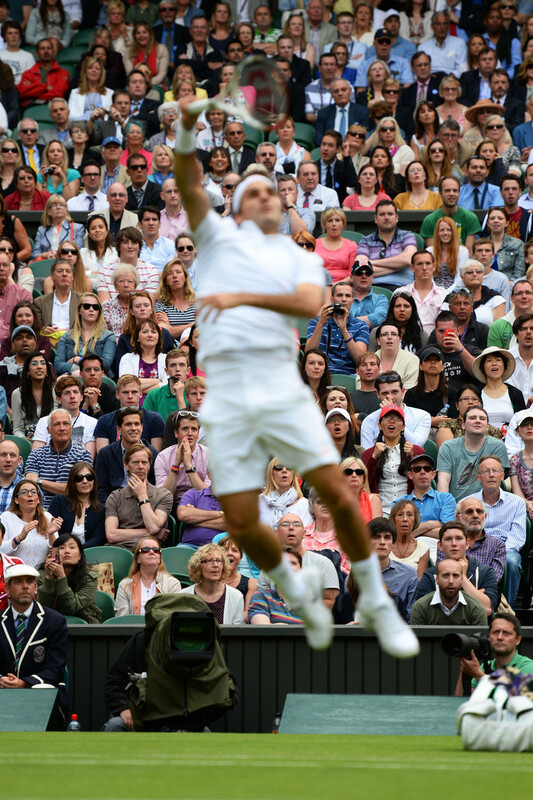 The Ukrainian defied Federer with two unreturned serves and went on to level the match. 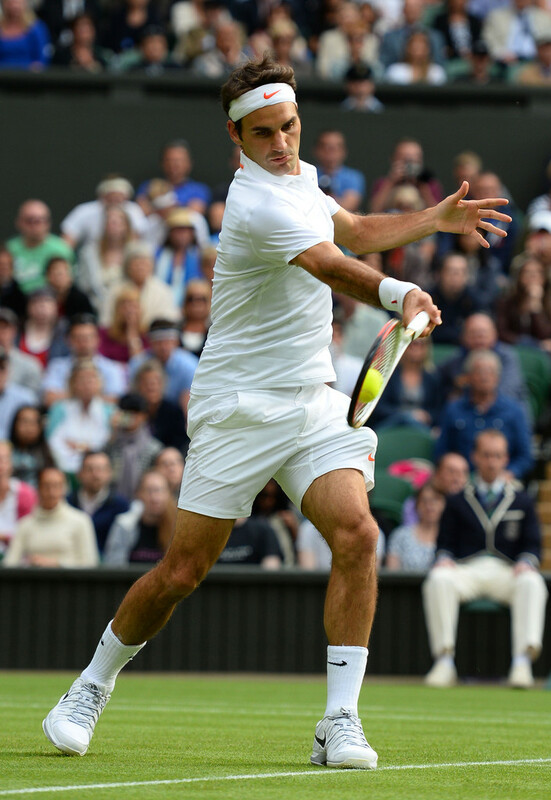 Federer had only committed one unforced error to 14 winners in the set. 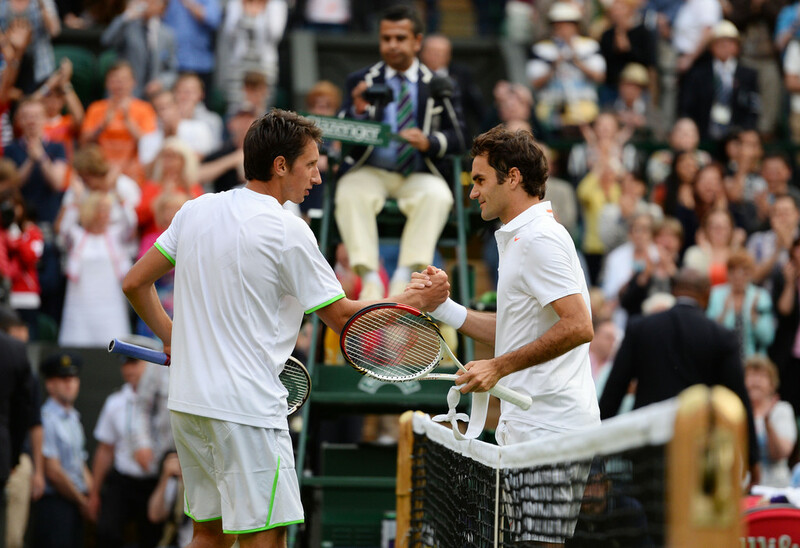 Stakhovsky fought off Federer pressure on his own serve and claimed the first service break of the match in the 11th game as Federer made costly groundstroke errors. 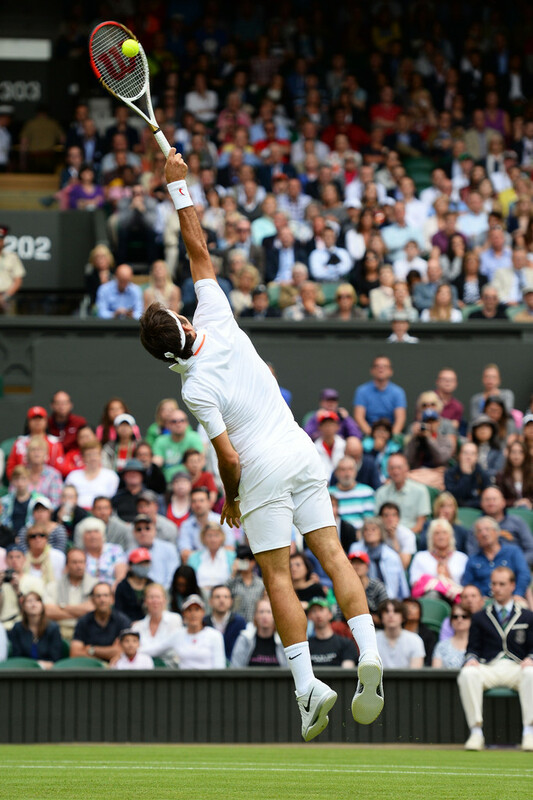 The Ukrainian then nervelessly served out the set to 15, punching away a forehand volley to the delight of the crowd. 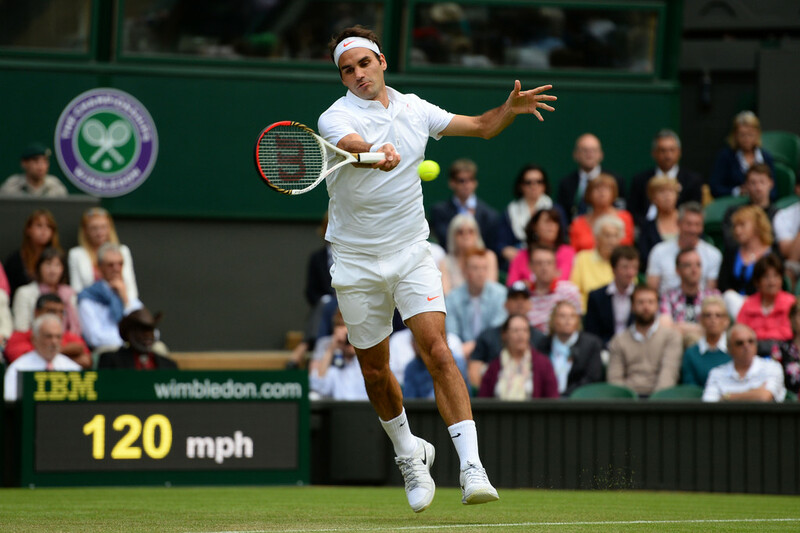 Stakhovsky went up an early break in the fourth set, leading 2-1, but seven-time Wimbledon champion Federer would not go down without a fight. 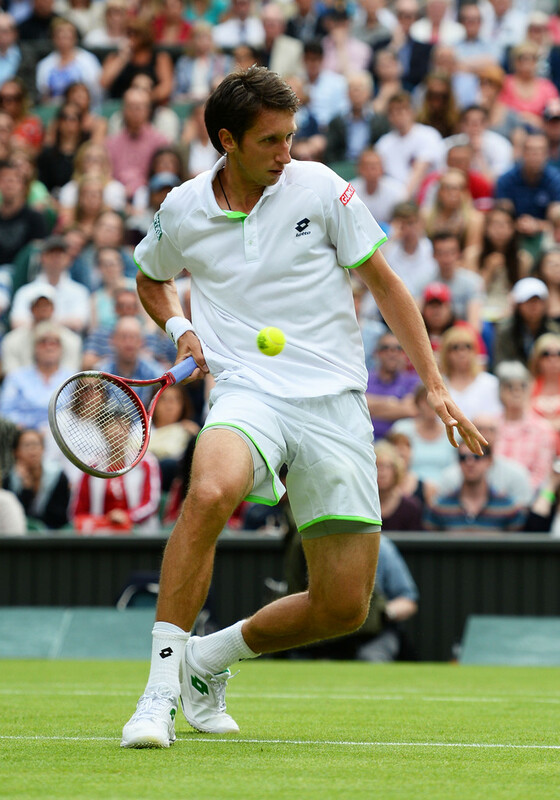 The Swiss finally broke through Stakhovsky’s defences and levelled at 3-3. He then had a set point chance at 30/40 on Stakhovsky’s serve in the 12th game, but the Ukrainian’s wrist and forearm were rock solid as he punched away another volley winner before pushing the set to a tie-break. Stakhovsly drew first blood in the tie-break, engineering a 3-1 lead with a backhand winner. 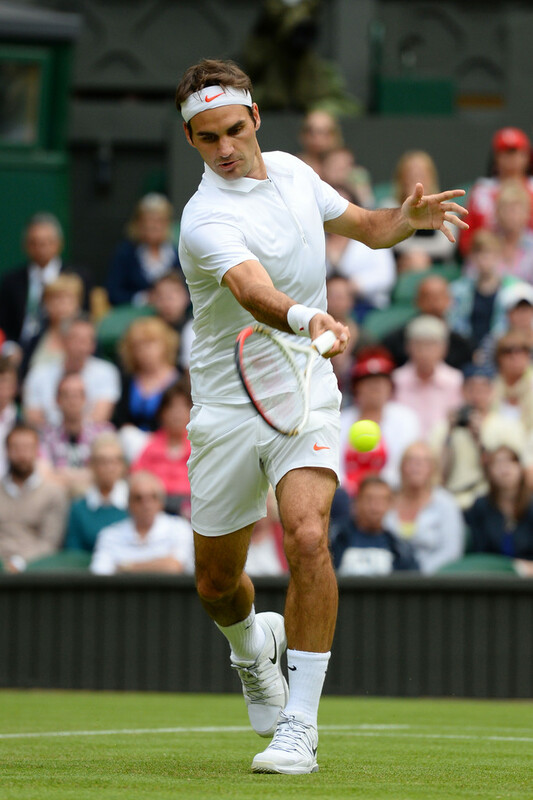 He earned two match points with a 6-4 lead as Federer netted a backhand pass. Federer saved the first, on Stakhovsky's serve, with a forehand winner, but faltered on a backhand down the line to give Stakhovsky victory in three hours. It is the earliest defeat for the defending Wimbledon champion since Lleyton Hewitt was beaten in the 2003 first round by Ivo Karlovic. 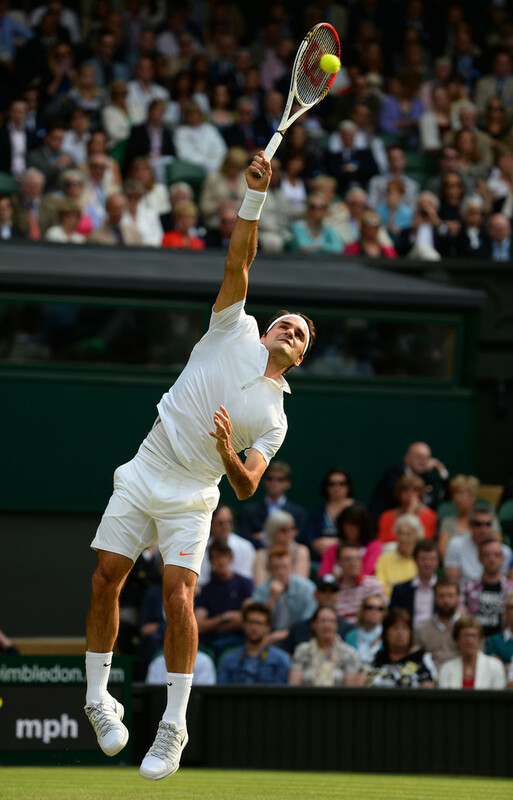 It also counts as Federer’s worst defeat at a tour-level event since losing to World No. 154 Mario Ancic in the 2002 Wimbledon first round. 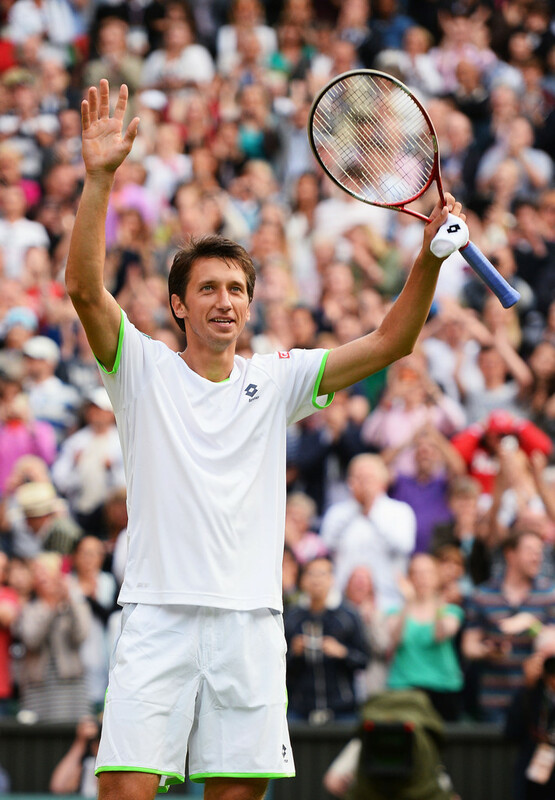 The 27-year-old Stakhovsky matched his best Grand Slam showing by reaching the third round at Wimbledon for the first time. He goes on to face Austrian Jurgen Melzer in a first career meeting. The Ukrainian had won only seven tour-level matches this season coming into Wimbledon and has seen his Emirates ATP Ranking plummet to World No. 116 from a career-high No. 31 (September 2010). 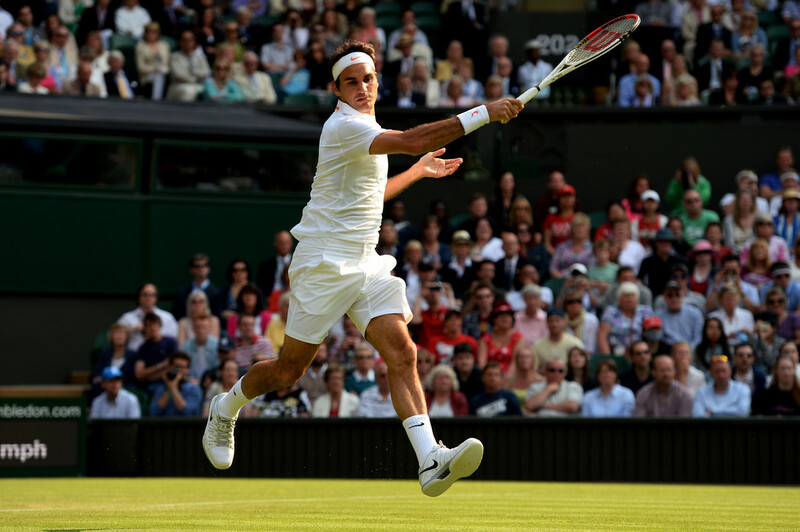 How will this loss impact Roger Federer's ranking? For a detailed discussion on that, click here. these loses are really terrible!!! thank god i didnt wait for the match to end b4 sleeping and i was like its federer and it is wimbledon so definitely roger will win .. thats y i slept!!!! but didnt expect it to go this way!!! To say this was a tough match and a tough loss would be to put it mildly. 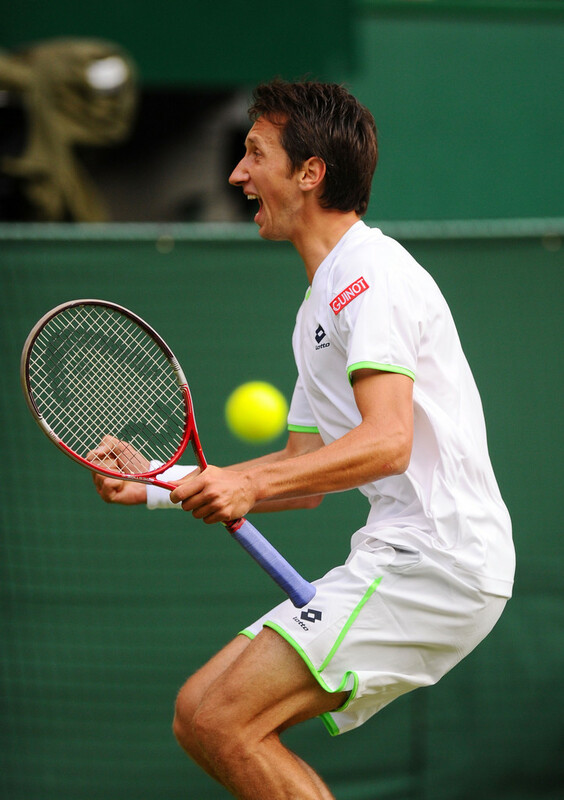 Stakhovsky must indeed be congratulated for playing some incredible tennis out there. His choice of aggressive serve volley was so different from the baseline style of play we have got used to seeing in recent years. Having said that it was an extremely close match, Roger did find a way to keep Stakhovsky from running away with it, in fact in all I read Roger won 161 points compared to Stakhovsky's 162. It makes me wonder if he had been able to take the fourth set whether the outcome would have been different. For now I wish him well and hope he can get out of the public eye for a while and have time with his family undisturbed by long lenses!! 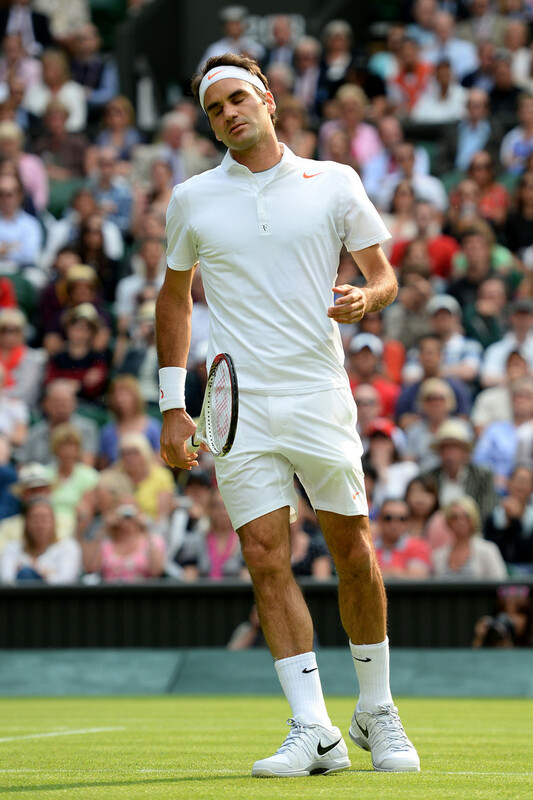 Roger lost to an inspired opponent, but what bothers me is that he hardly tried to change things up. He kept on chipping second serve returns and hardly himself came to the net. Still we have seen him pull through these matches, but not this time. As long as he is in the top 8 things wont change much i.e 5-8 are essentially the same but once he is out of 8, things will become much more difficult for him to face a Nadal or Andy or Nole in 4th R for example. Frankly I dont see that happening for the next 2 years, and indeed next year he may well creep inside the top 4 as there will be hardly much to defend. Good luck to maestro and hope he has a good HC swing culminating in a good run at USO, his second best GS. It is certainly hard for me to work up much enthusiasm to watch the tournament as much as I would have done if Roger was still there. Just seeing centre court and knowing he will not be gracing it with his presence any more this year is too painful at the moment. Indeed, i don't watch Wimbledon, just in ending of the day i check the result...I have no desire to watch.. Seven times Wimbledon Champion, Roger Federer, paid a surprise visit to a nearby tennis club to the delight of its members. Swiss Federer, currently ranked number three in the world, but arguably the best tennis player of all time, dropped by Dundonald Rec Tennis Club (DRTC) on Thursday during a free after school coaching session - an initiative praised by the tennis champ. Dr Ernesto Pinto, chairman of the DRTC, said: "It is a great honour to receive a visit from such an inspirational figure - the members were so excited about it." "He was pleased that this local initiative of getting young people involved in sport, particularly tennis, is so popular both in Dundonald Rec and at local schools through the club’s out-reach programme." "We discussed the importance of getting people involved in sport from a young age and I explained how DRTC is planning to achieve this." "We invited Mr Federer to return to the DRTC when he’s next in Wimbledon to see the growth of tennis in our community."